Imagine an early evening wedding, low lighting, a bride wearing a stunning gown, no lace, rhinestones or embellishments of any kind. 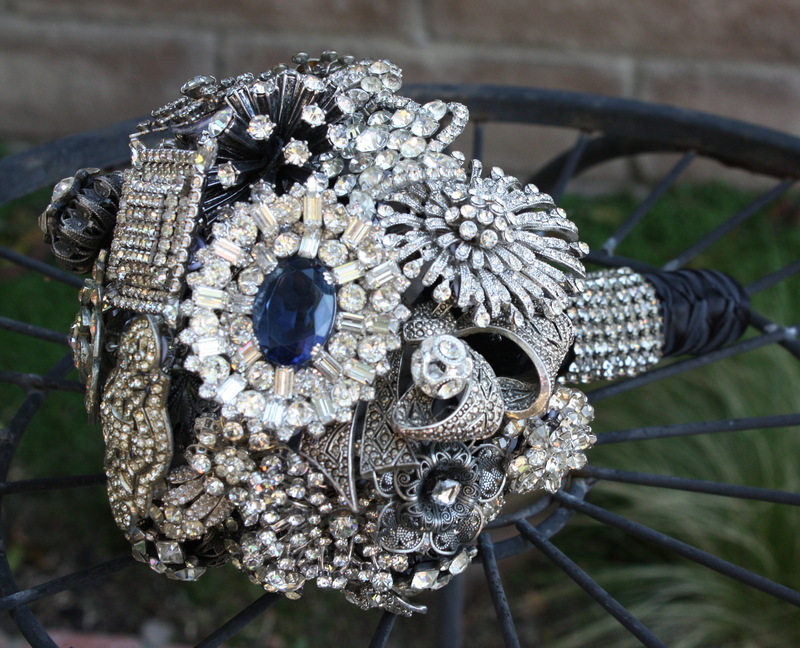 Just this beautiful one-of-a-kind Bouquet of brooches! Sparkling all the way down the isle… Gorgeous! Nancy, you make the best Brooch Bouquets ever!